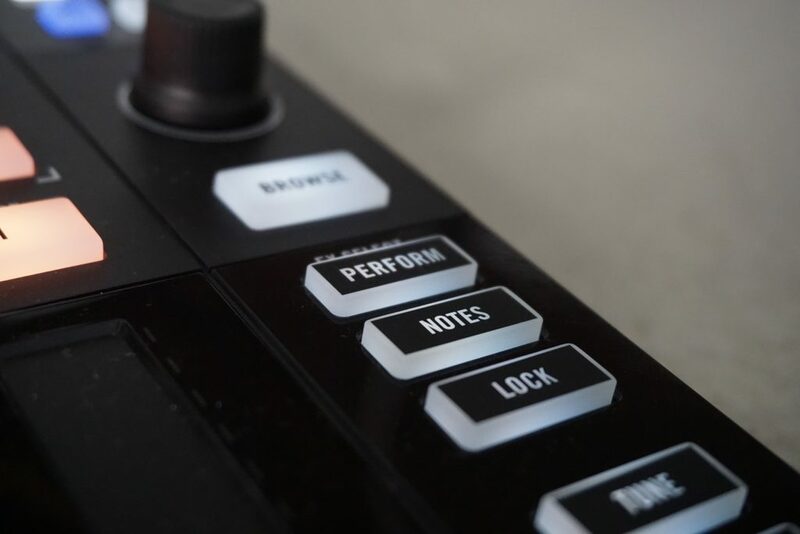 These days, various combinations of faders and touch sensors and grids of pads and buttons and encoders and knobs appear with cyclic regularity. We’re past the point of inventing the automobile – we’re down to tuning particular cars for particular tasks. But what do you want to use if you’re really playing live? 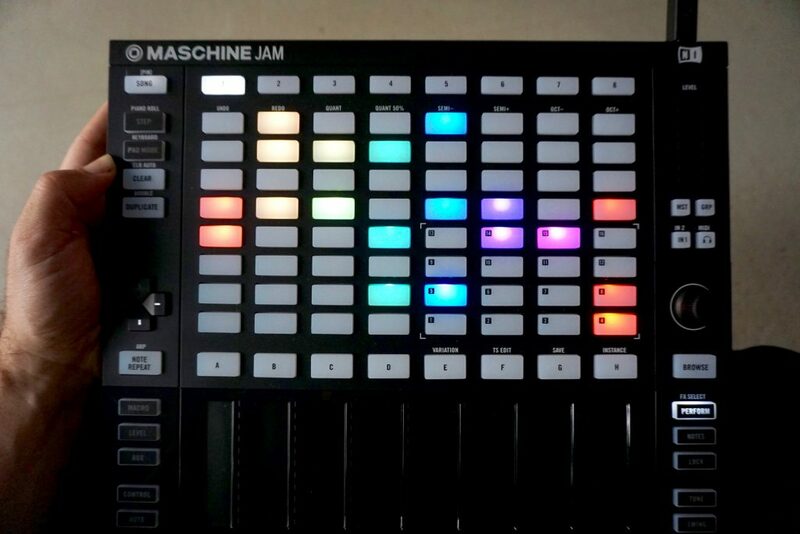 Maschine Jam is a combination of software and hardware that focuses on that scenario. We’ve met with the team that built it at Native Instruments and have our own unit in now to test, so here are some first impressions. 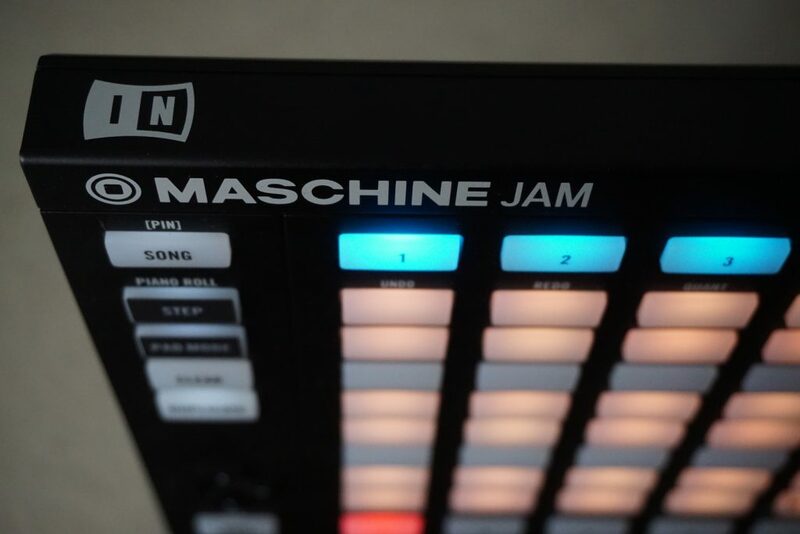 Maschine Jam is, just like other Maschine products, a combination of hardware and software. If you don’t yet own Maschine, you get it in the box. If you do, you can add this on as an additional controller. 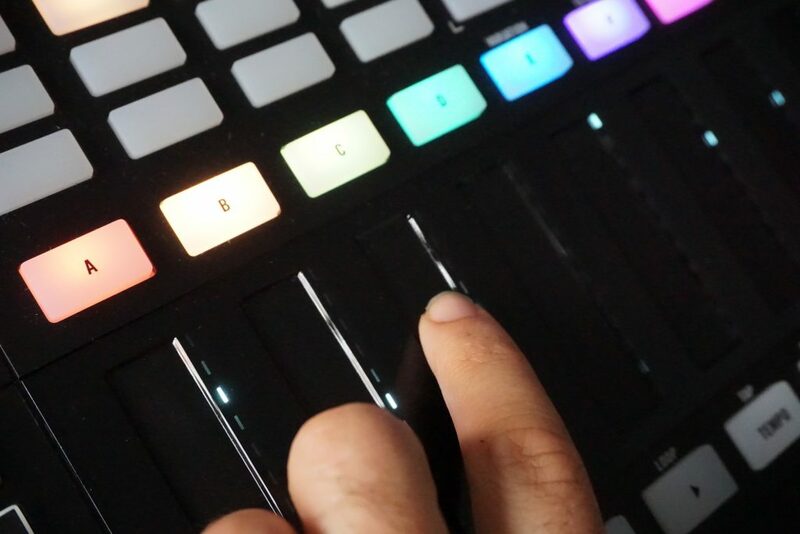 And in addition to integrated workflows with Native Instruments’ own software, Maschine Jam also works as a generic MIDI controller for other software. To get you started, there’s an included Ableton Live template – but there’s a lot of power here for hackers, actually, something we’ll get to in more detail. So, again, what makes Jam unique is really all in the details. 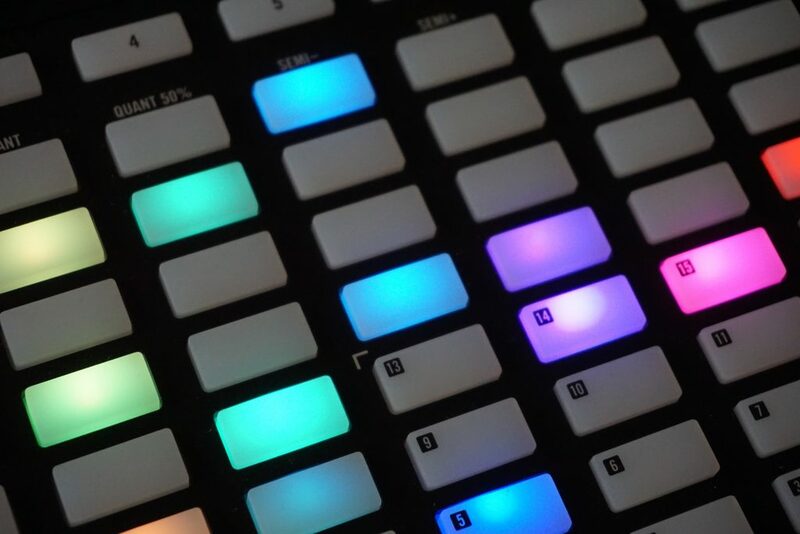 And while you would be inclined to compare it to Ableton Push, it represents a different direction. When Push was unveiled, Ableton’s pitch was that it was a way of starting tracks. Jam has some parallel ideas, but the point is really taking musical materials and playing with them. So you could start tracks this way, but you might be equally comfortable using Jam onstage – without necessarily being a great finger drummer. The reason for that is that Jam is really built around playing and sequencing musical materials. 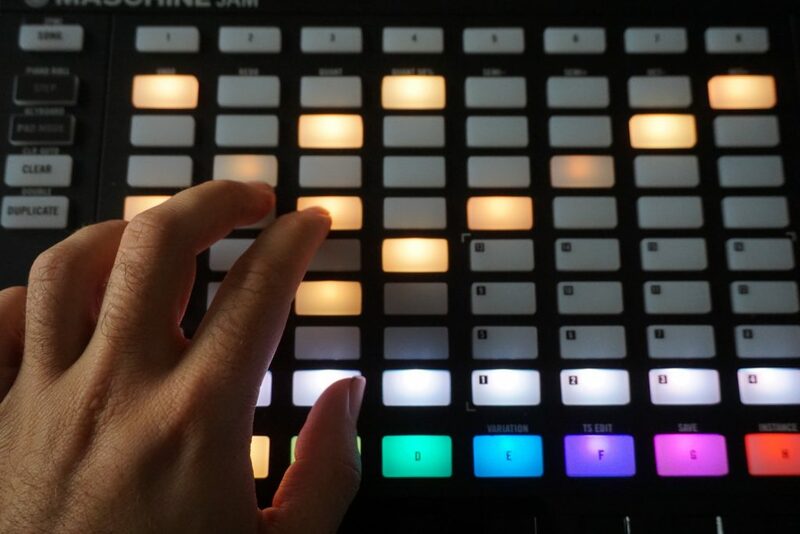 With Jam, immediate access to Maschine’s sequencing, arrangement, and effects features is easier than ever. The grid can work as a keyboard for chords and melodies, with arpeggiator and the option to constrain to a particular scale/harmony. It’s also a rhythmic step sequencer. It’s also a melodic step sequencer. Those features are a bit “flatter” and easier to follow than in a more conventional DAW because you always have the comfort of Maschine’s groups and instrument structure behind them. 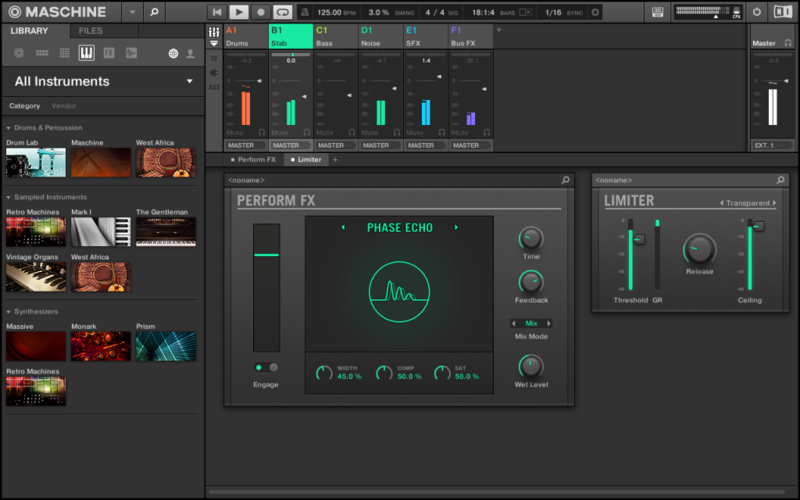 Now, where this gets interesting is, Native Instruments have packed in lots of features for generating and modifying ideas apart from just playing them in. So you can generate random rhythms and melodies to start with, constrained however you like, and vary existing materials accordingly. That makes starting patterns – and making variants – far easier. And then there are the touch strips – this might be the best part. Those eight strips work as you’d expect for mixing and even things like note input, but they’re also parameter controls for effects. You can use two fingers on them at once, which opens up clever techniques like “fluttering” between two values. There are new “PERFORM FX” that take advantage of all of this. New performance effects, seen here with mixer. And remember, you can launch patterns and scenes, all in a consistent interface, without any additional setup and planning. But really, Jam’s coolness comes down to one feature – really. It’s called “LOCK.” Yay, exciting. Wait… what? Here’s how it works: get some patterns and parts playing the way you want, with parameters just so. Hit lock, and you can take a snapshot. Now, you can recall those snapshots. But you can also morph between them at whatever rate you want. But it’s obviously not limited to that. Having heard basically all ambitious live sets devolve into never-changing loops for the last, uh, twenty years are so, this finally makes it easier to keep your place and make the music change. It could be a way of creating song structures. It could involve lots of parameters. It could be really minimal and involve just one parameter. It could change fast. Or it could take a few bars. Maschine alone gives you a lot to play with, but remember this also can host things like Reaktor and Reaktor Blocks ensembles. So while NI will obviously emphasize much more popular beat-driven workflows, someone out there will probably make wild experimental music with it, just using the grid as a means of storing different snapshots of ensembles. I think concerns about lock-in these days are understandable. Are you buying yet another fairly spendy gadget that does nothing but control one piece of software? What if you wind up using something else in 12 months to feel inspired? Maschine Jam still requires drivers. It still runs only with a computer attached. 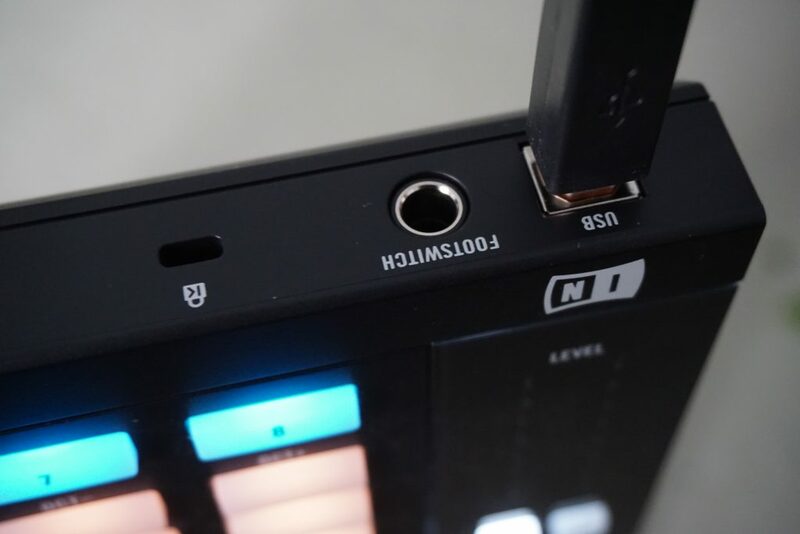 And it’s USB only – no MIDI jacks, either. That’s pretty much standard for NI hardware. But that said, NI does seem more committed than ever to making this open to integration with software other than their own. There’s not a single control on there that doesn’t send standard MIDI messages – every single one. And LED lights and colors are addressable, too. You can edit that functionality further, as per usual, with NI’s editor software. All of this adds up to what may be one of the best and most flexible general-purpose MIDI controllers released recently. it doesn’t do velocity, but it does everything else. Already, I have to say, the hardware feels terrific. It’s also nicely slimmer than previous Maschine hardware, which makes it easier to tote. (If you want to elevate it, there’s a small screw-on stand; it’s stable but much less intrusive than past outings.) I wish it lined up a little better next to the Maschine dimensions, but it’s close enough. I definitely miss having velocity sensitivity, personally, but this pairs nicely with a portable keyboard or other pads. 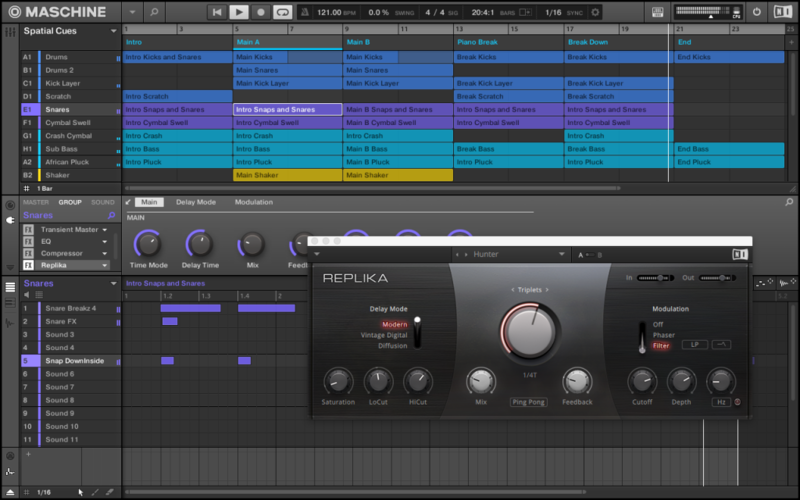 We’ll go more in depth with MIDI functionality and performance/sequencing/effects features soon. If you’ve got questions, let us know – I’m walking distance from everybody who made this, so I can pester them. A little break for existing Maschine 2 owners – you get two free expansions through the end of the year.